Sunny jobs reports and shrinking unemployment numbers might give the impression that the US economic recovery is complete. Scratch beneath that surface, though, and a much bleaker trend emerges, says a new report from three HBS professors: America’s economic performance has been waning since at least the late 1990s. In Problems Unsolved and a Nation Divided, Professors Michael Porter, Jan Rivkin—cochairs of the School’s US Competitiveness Project—and Mihir Desai, with program director Manjari Raman, lay out their case: Growth has slowed in GDP and job creation; startup formation has been on the decline since the early 1980s; and real median household income is well below its peak in 1999. Most economic gains have gone instead to the wealthy and big businesses. Today’s 5.1 percent unemployment rate for the working-age population looks robust, but only because it doesn’t factor in people who have abandoned their job searches. Few predict the situation will improve soon: Almost half (47 percent) of the HBS alumni surveyed for the report expected US firms to employ fewer people in three years. Half of the respondents expected US competitiveness to decline in three years, with firms less able to compete in the global marketplace, pay employees higher wages and benefits, or both. A turnaround would require a national economic strategy—and that would require a functional political system, the authors note. Calling the inability of the political system to deliver desired outcomes our “gravest competitive weakness,” the authors propose their solution: an eight-point plan for Washington, recommending changes that they say would have impact within two to three years, such as streamlining regulation, easing high-skill immigration, and reforming the corporate tax code (perhaps “the single most powerful step to improve America’s economic trajectory almost immediately”). 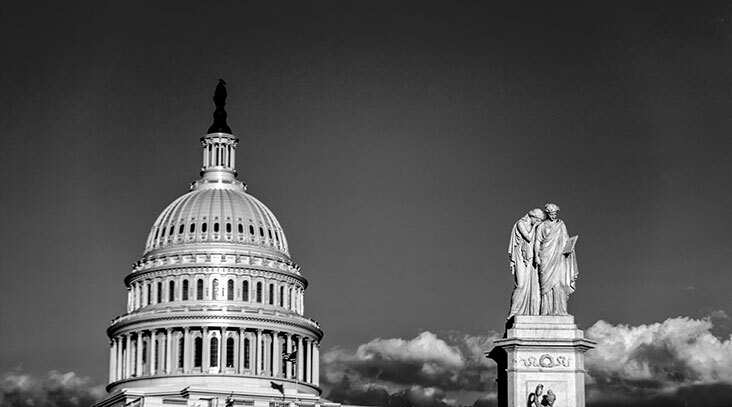 The authors argue that while all eight issues enjoy some measure of bipartisan support, the gridlock in Washington has prevented any progress on these crucial policies. A turn-around would require a national economic strategy—and that would require a functional political system. Amid the grim diagnosis of the US economy in the report, the authors maintain there is reason for optimism, too. Business leaders as well as state and local policymakers have a major role to play in restoring competitiveness—and there are promising signs of change at the local and state level. The issue is the role of the federal government in restoring competitiveness. After World War II, America’s policy leaders made bold investments in education, infrastructure, and entrepreneurship that paid off in a four-decade run of prosperity unlike anything the world had ever seen. The need of the hour now is to once again unlock that kind of economic growth and competitiveness, and ensure that it is shared by all Americans. The American public has the will to change, the authors contend—all the nation now needs is lawmakers who will get down to the business of fixing what’s broken.